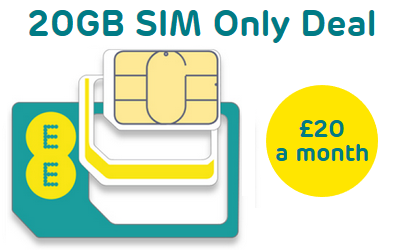 We run through the benefits of Three's unlimited data SIM only plan that's back on offer for just £20 a month. SIM Sherpa is your trusty guide. Last updated: April 11th 2019. It's unlimited data. And it's £20 (as long as you order by 30th April 2019). 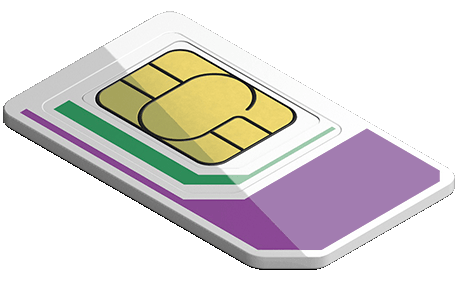 There is no cheaper unlimited everything SIM on the market. Plus you get Three's usual benefits of 99% 4G population coverage, inclusive roaming and perks like free easyJet upgrades and their daily rewards app, Wuntu. If you've ever put your phone down because you're worried about going over you data usage limits, Three's unlimited data SIM puts an end to that. You're free to use as much as you like in the UK at no extra cost. And you're not limited by any sneaky traffic management or throttling rules when you use it in this country either. Others sometimes promise no data caps but then slow you down to stop you using too much. You can also use it for tethering (personal hotspot), which is where you connect tablets or laptops to your phone so they can access internet anywhere you have mobile signal. That's unlimited in the UK too. The only restrictions come when you're using your SIM abroad. There, you won't be able to use tethering, a monthly cap of up to 19GB applies (depending where you are) and Three reserve the right to slow down your connection while roaming. 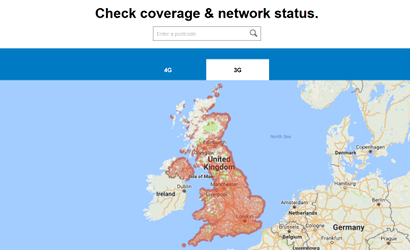 It's true that Three aren't the UK's largest network but they now put their 4G coverage as reaching 99% of the population in the places where they live. There's still work to do in rural locations. We'd always recommend checking any network's coverage before you sign up. Use Three's official network map here to do so. Be sure to look not just at home but anywhere you'll be using your phone. Over 4G, we'd expect Three customers to get download speeds of around 20 Mbps on average, which currently puts them in joint second with Vodafone behind EE. The only other mobile networks to offer truly unlimited data are SMARTY on a £25 1-month deal and Virgin Mobile on a £27 12-month deal (but you need to be a Virgin Media TV or broadband customer to buy it). We monitor Three and other mobile networks' offers constantly. Their £20 unlimited data SIM was live in February (until 28th) this year and throughout the Black Friday period in 2018. In the meantime it's been priced at £32 and £27 a month in December and January. It was reduced to £24 in March before this offer launched. So the £48 saving Three are claiming is correct (£4 x 12 months). Previously the best you could get for £20 on Three was a 100GB plan (which is also good value). So this current offer is quite rare but does still come round a few times a year. 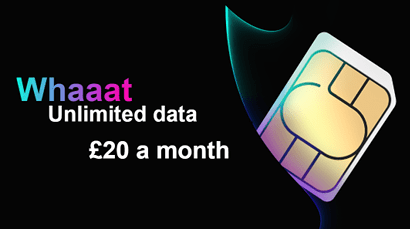 We haven't seen unlimited data on Three priced below £20 a month for many years. So we're reasonably sure they won't be discounting this any further (we have no insider information and can't make guarantees either though).